Forest Bathing, also called forest therapy or nature therapy, is a sensory-flow practice that enhances health and well-being through immersions in forests, parks, and other natural environments. Because of its gentle methodology forest bathing combines well with other health and education programs and practices such as mind/body wellness, nature education, and team building and innovation. As a healing practice, forest bathing originated in Japan in the 80's to encourage relaxation and stress-relief among an overworked society. In partnership with national forest programs, Shinrin yoku, literally translated as "forest bathing" has become a popular practice not just Japan, but also in South Korea where substantial government investment is supporting the integration of forest bathing into the healthcare system, with "prescriptions" for forest and nature therapy becoming an accepted drug-free alternative for patient care in a number of areas. 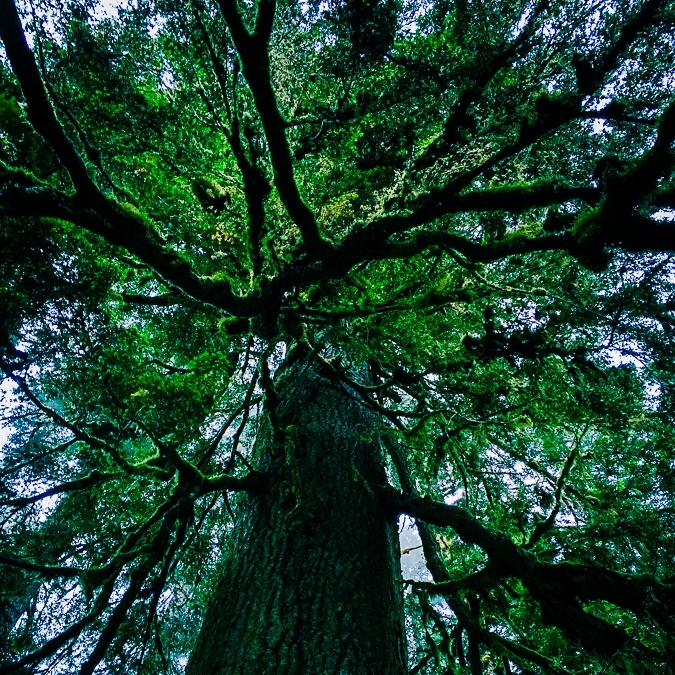 Studies have shown that forest environments, especially evergreen forests, emit natural aerosols into the air. When human beings spend adequate time immersed in these aerosol-rich environments, an array of health benefits can be enjoyed including reduced stress and cortisol levels, a boosted immune system, faster healing and improved cognition. In addition to the physical benefits, connecting to nature can bring an elevated sense of clarity, reverence and an overall feeling of contentment and ease. From antiquity through modern day, physicists and philosophers, shamans and poets have returned to the forest again and again to contemplate, dream, innovate and remember what it means to be human, in a more-than-human world. As more and more thought-provoking science emerges on the medical benefits of the forest eco-system, as well as the family structure and emotional lives of trees and birds (The Hidden Life of Trees), (The Genius of Birds), and our own genetic pre-disposition to fractal environments (The Nature Fix), it is becoming increasingly apparent that a reciprocal relationship with the forest as a unique and cognizant entity may hold deeper secrets for mankind than we could have ever imagined - a rich and fertile return, indeed. Fertile Return is always crafting new immersions to enhance what you’re already working on. Perseverance? Humility? Creativity? Resilience? Authenticity? Sign up to receive news and updates. *Fertile Return provides guided immersions in the practice of forest bathing, sometimes referred to as “nature therapy.” Fertile Return does not offer counseling, therapy or coaching of any kind. If you are in need of any of these services please seek the services of a licensed professional.